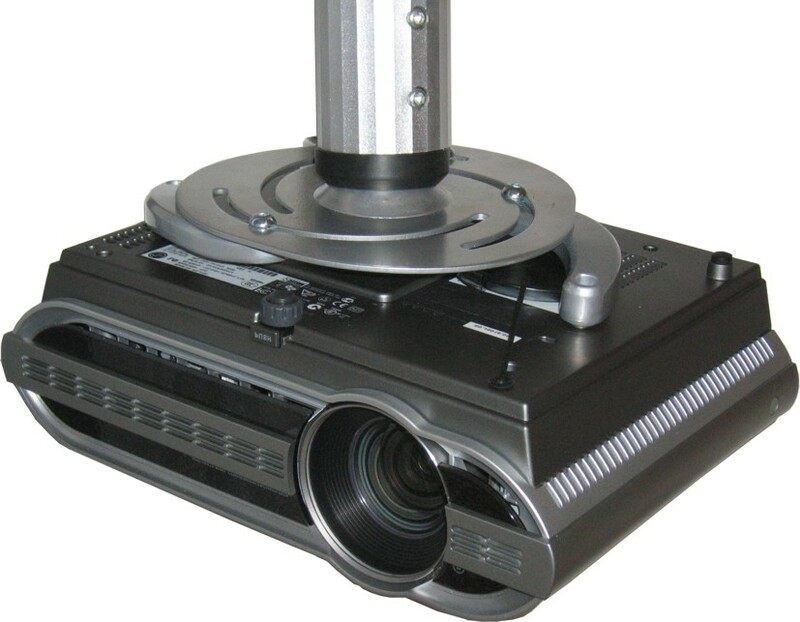 The BEAMER-C200 is a universal beamer/projector ceiling mount for all beamers/projectors with a hole pattern. By using this mount you can easily tilt, rotate and swivel the beamer/projector. 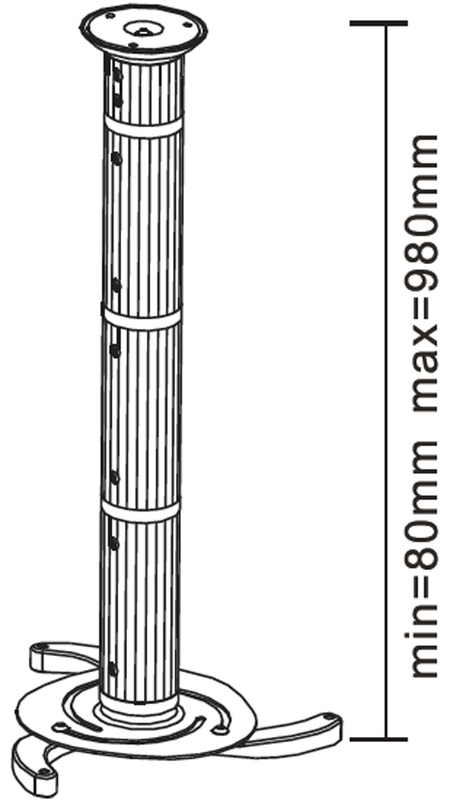 With the BEAMER-C200 you reach a height adjustment between 8-98 cm. This model fits virtually every projector weighing up to 15 kg. Due to the `Quick Release` feature, the BEAMER-C200 can easily be deattached. When not in use, simply remove your projector and hide it! Cables can be placed in the column.